First: What is the point of your school, in blunt terms, or, in more "professional" words, What is your school's ethos? Why should a child come to your school? What will your students have at the end of their time in your school which will move them toward being happy, competent, capable, passionate adults who will have real choices in their lives in the Mid-21st Century. And Second: What is the "User Experience" of your students, and what should that User Experience be to best move all students who come through your doors to get to their goals? Only if you answer these questions can you begin to imagine/design/create the "User Interface" - which in schools is our building, our grounds, our schedules, our curriculum, our pedagogy, and all of our rules - so that all that our "process" is contributes to our goals. A few days ago I asked a group of elementary (primary) teachers who were wondering about their cafeteria, "begin with, what are you trying to help students learn while they are eating together in your school?" In the user experience of "school" our users, our kids, see and respond to absolutely everything. Yes, adults do that as well, but adults, in that "the more you know the less you see" filtering, actually see/hear/feel/smell/taste far fewer environmental clues than do kids. So, when a group of American teachers told me, after I had told a story from an Irish Primary School, that "those teachers are teaching life philosophy and not just content," I responded, "I think we are teaching philosophy every minute, it just might be life philosophies we don't much like." Henry Barnard, the "evildoer" who designed the American multi-classroom school as we know it, wrote that everything which students saw and did from when they first saw the school in the forming was important - that every entrance, corridor, even where a child hung up their coat was part of the educational process. And he was, in this, absolutely right. It explains why school architecture from 1850 to 1950 often mimicked the authority structures of their age, from churches to courthouses, and it explains why students were pushed to line up - to form queues - entering the school, as compliance, order, and hierarchy were being enforced long before a kid ever got to his or her seat. And why schools after World War II looked like the factories and military facilities of that age. to the outside but, "poor security"
But school design and user experience have hardly ever been joined. 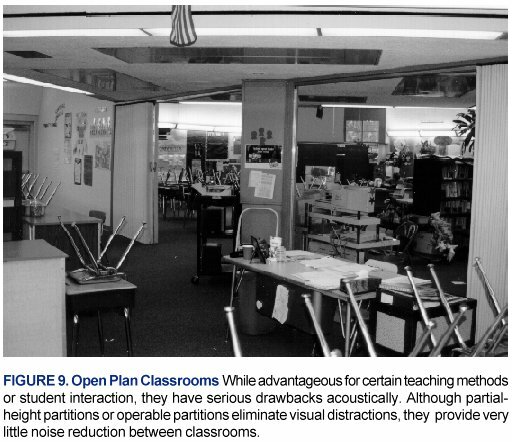 Even the John Dewey influenced schools with all the doors to the outside of the 1950s and 1960s (really just a recall of William Alcott's ideas of the 1830s-1840s) were taken from the architects by school administrators who never asked the kids how these spaces could be used. And the "failure" of the 1970s open classroom school buildings was never a failure of architecture, but a failure of almost every adult who worked in those buildings to comprehend the idea of "user experience" - they tried to run Henry Ford's 1913 assembly line in a renaissance studio. Simply put, the reason we find ourselves stuck in Industrial Revolution Era schools, the reason school success in the United States has only crawled from the 1850s adult design of succeeding with 20% of students to our present succeeding with 33%-40% of our students, lies in our inability to begin to match the User Experience of education to what we really want education to accomplish. So, what do we want for our children? If we want them - all of them - to grow up to be critical thinking global communicators who can investigate and succeed with the widest range of choices possible... effective citizens of democracies able to collaborate with each other and make a better world... voracious creators who absorb stories and information and use all that to dig out the problems which bedevil us and build solutions to those problems... empathetic, healthy members of a planet, a society, a tribe, and a family... well... what is the design of our schools - again, spaces, schedule, pedagogy, curriculum - contributing to those goals? and what is doing the opposite? Last week we turned to our users to try to understand. We asked 500+ "elementary" school (primary, grades K-5) students - all the students of one school - to participate in a charrette to help begin to design the future of their school. We did show them a few images to begin to free them from "the understood," but we worked really hard to limit any adult influence on this work. We adults have seen so many schools, and we "know" way too much - especially about what we think is impossible - and we needed kids to show us the vision they would build with their unblinkered eyes. Choice in classroom seating (or choosing not to sit), choice in tables/worksurfaces, choices in how to read books, choices in when to do what, choices in working inside or out, choices of where to play, and the choice to do work in school - with their peers - not at home with their parents. None of this is absurd. None of it. Why can't kids get softserve frozen yogurt after lunch? Why can't the school build a castle and a dragon with the 5-year-olds? Maybe a zip line could cross the playground? You'd have to be a pretty weak teacher not to be able to use that in teaching many parts of the curriculum. When I mentioned the robot bluebird to Melissa Techman, one of my favorite school librarians, her immediate response was, "that's why I need those big cabinets I want so I would have all the stuff to build that kind of thing all ready." And why can't school teach constant, continuous, internal feedback informed choice? How else can we help kids grow up into citizens of a true democracy, and able to make choices which work for them as adults? how do we argue with them?" Essentially, if I took in the vast amount of ideas and grouped them quickly - they wanted choices, comfort, warmth (many requests for wood floors), the ability to be outside, better lighting (dimmer switches, lamps), and places to both work together and to get away to quiet. They wanted to explore the world not just read or hear about it. Plus they wanted a school that was fun and that they looked forward to entering every day. Anything radical there? Anything which really isn't part of our kids learning how to be the mid-21st century citizens and humans we want them to be? Our next steps seem like a curriculum built in a great dream - some kids will inventory the school and grounds - what do we have now? how do we use it or not? Others might label the trees and plants around the school. Some might consider how a swing becomes a place to teach physics and math and perhaps poetry and decide how that might work. Still others might work over the idea of what might be quick, and what takes big resources and thus more time, along with what might be easy - and what might be very hard. And we think the end result will be a better school, better learning, and kids with more skills and more capabilities. Which is what we want our user interface to help create, right? What does your school look like? I have never really thought about that question. In Ira Socols newest blog, she communicates just that. There are two questions we should ask ourselves about our schools. First, what is the point of your school? Of course the right answer to that question sounds very simple. We want to educate our students in such a way that we will give them the most success. However, carrying out the answer is not quite as simple. What do we teach them? How? When? Who? Where is the line drawn? Is there even a line anymore? Mrs. Socols describes how when schools were built, they generally looked like and were run like the world around them. Maybe that is where the problem lies. I know for a fact that the high school I attended looks nothing like the rest of the world. The second question Mrs. Socols asks is what is the user experience of your students? In my short experience with education, I have come to agree with this question. Students respond to everything, both the good and the bad. Maybe if we thought more about our students and less about how traditional it is, then we could compete with education systems around the world.